9 AM to 5 PM. We close for lunch from 12PM - 1PM. Our Jackson, NJ office will be open on Thursdays from 1-5pm. This office is within the new Meridian Health Village. Please call us for details. Dr. Perlmutter now available for evening office hours! Please call for details. Thank you for choosing us as your healthcare provider. We take great pride in your care and attempt to minimize your out of pocket expenses. We ask that you read the following policies in full and understand the importance of keeping all scheduled appointments and procedures. Due to frequent changes in healthcare insurance coverage, we require that you provide proof of insurance at EACH visit. If you do not have insurance, are unable to provide proof of current insurance coverage, or are on a plan with which we do not participate, then full payment is required at the time of your visit. If we participate with your insurance, all co-pay and co-insurance amounts are due at the time of service. We will routinely file your insurance claim for each visit. Should there be a dispute with your insurance company, we will attempt to help you resolve it. While this dispute is being resolved, the balance may be transferred to your personal balance, which must be paid upon receipt of this notification. If we do NOT participate with your insurance, full payment is due at the time of service. For any surgical procedures, payment is required at least 10 days in advance of surgery. Late payment may lead to cancellation of your procedure. The patient is responsible for full payment of our fee, including any remaining balance not covered by your insurance plan. Your insurance policy is a contractual agreement between you and your insurance company, not between this office and your insurance company. This office will file your primary insurance for you as a courtesy and assist you in filing secondary claims. However, you are responsible for negotiating any unpaid or disputed claims with your insurance carrier. It is your responsibility to know what services are covered under your policy. Please bring your insurance card at each visit. Some insurance plans require primary care physician approval for any visits to a specialist (including Urology). Under these situations, your primary care physician must provide the patient with a referral form authorizing specialist care. Our office must receive this completed form either before or at the time of your visit. Without this form, you will be required to either reschedule your appointment or sign a waiver accepting all charges for the visit. It is your responsibility to know if your plan has this requirement. Your account will be assessed a $40 fee for any returned checks. Failure to keep a scheduled appointment or cancel it at least 1 FULL BUSINESS DAY in advance will result in a $50 charge to your account. This charge cannot be billed to your insurance company and must be paid in full prior to any future appointment. It is your responsibility to remember all your appointment dates and times. If you forget, you can always call our office to find out your next scheduled appointment. Failure to show for a surgical procedure or cancel at least 1 FULL BUSINESS DAY in advance will result in a $200 charge to your account. This charge cannot be billed to your insurance company. Three missed appointments or late cancellations may result in dismissal from the practice. If a large bill is anticipated and financial arrangements need to be made, a payment program may be arranged with our Collections Coordinator. Failure to keep these arrangements or resolve any past due accounts will result in referral to a collections agency or collections attorney. Any balance greater than 30 days past due must be paid prior to being seen by the doctor. Any balance greater than 90 days past due from the date of service will be referred to a collections agency or collections attorney. These accounts may also be reported to the collections bureaus. If you have any questions, please call our Office Manager, Samantha at (732) 800-3013 ext. 115. Michael Howard, M.D., F.A.C.S. Robyn Leitner, M.D., F.A.C.S. Mark Perlmutter, M.D., F.A.C.S. Our new Brick office is open! Dr. Perlmutter performs Ocean Medical Center's first robotic surgery. Read about it here. Dr. Perlmutter named Medical Director of Urologic Oncology Conference for entire Meridian Health System. 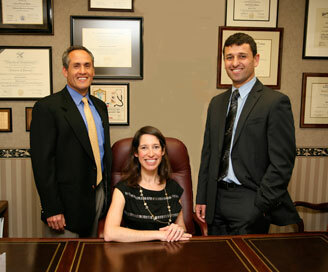 Our practice was featured in the July 2012 issue of New Jersey Physician Magazine. Read the full article. Dr. Perlmutter featured in the Nov/Dec issue of Meridian Healthviews for sucessfully performing two separate robotic surgeries in a single patient to treat two different cancers. Read the full article. St. Barnabas Magazine for groundbreaking Robotic Surgery- first of it's kind in New Jersey! Read the full article. © Copyright 2016 Howard, Leitner & Perlmutter Urologic Associates. All Rights Reserved.